← Out of Phase ? 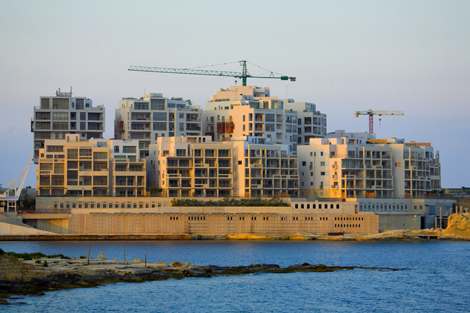 The 2005 Census had revealed that 53,136 residential units in Malta were vacant. This was an increase of 17,413 units over the 35,723 vacant residential units identified during the 1995 Census. Faced with an increase of over 48 per cent in 10 years, a responsible government would have contained the development boundaries as existing supply can satisfy the demand for residential accommodation for many years to come. In 2006, just nine months after the 2005 Census, the Nationalist Party-led Government defied common sense and, instead of applying the brakes, it further increased the possibilities for building development through three specific decisions. Through the rationalisation process, the PN-led Government extended the boundaries of development in all localities. Then it facilitated the construction of penthouses by relaxing the applicable conditions. If this were not enough, it increased the height limitations in various localities, intensifying development in existing built-up areas. As a result of increasing the permissible heights, sunlight was blocked off low-lying residential buildings in the affected areas. These residences were using sunlight to heat water through solar water heaters or to generate electricity through photovoltaic panels installed on their rooftops. They can now discard their investments in alternative energy thanks to the PN-led Government’s land use policies! The estimated total of vacant residential properties is equivalent to nine times the size of the residential area of Birkirkara, the largest locality in Malta, which, in 2005, had 7,613 residential units. These ghost towns over the years have gobbled up resources to develop or upgrade an infrastructure that is underutilised. Spread all over the Maltese islands, these ghost towns have required new roads, extending the drainage system, extending the utility networks and street lighting as well as various other services provided by local councils. The funds channelled to service ghost towns could have been better utilised to upgrade the infrastructure in the existing localities over the years. The above justifies calls for an urgent revision of development boundaries through a reversal of the 2006 rationalisation exercise where land included for development in 2006 is still uncommitted. Similarly, the relaxation of height limitations and the facilitated possibility to construct penthouses should be reversed forthwith. All this is clearly in conflict with the efforts being made by the Government itself, assisted with EU funds, to increase the uptake of solar water heaters and photovoltaic panels. I am aware of specific cases where decisions to install photovoltaic panels have had to be reversed as a result of the development permitted on adjacent property subsequent to the 2006 height relaxation decisions. In its electoral manifesto for the forthcoming election, AD, the Green party, will be proposing a moratorium on large-scale development in addition to the reversal of the above policies as it is unacceptable that the construction industry keeps gobbling up land and, as a result, adding to the stock of vacant property. The market has been unable to deal with the situation and, consequently, the matter has to be dealt by a government that is capable of taking tough decisions in the national interest. Neither the PN nor the Labour Party are capable of taking such decisions as it has been proven time and again that both of them are hostages to the construction industry. The slowdown of the activities of the construction industry is the appropriate time to consider the parameters of its required restructuring. It is clear that the construction industry has to be aided by the State to retrain its employees in those areas of operation where lack of skills exist. There are three such areas: traditional building trades, road construction and maintenance as well as marine engineering. Traditional building skills are required primarily to facilitate rehabilitation works of our village cores and to properly maintain our historical heritage. Our roads require more properly-trained personnel so that standards of road construction and maintenance are improved and works carried out in time. Our ports and coastal defences require a well-planned maintenance programme and various other adaptation works as a result of the anticipated sea-level variations caused by climate change. The construction industry employs about 11,000 persons. It is imperative that its restructuring is taken in hand immediately. In addition to halting more environmental damage, a long overdue restructuring will also serve to mitigate the social impacts of the slowdown on the families of its employees through retraining for alternative jobs both in the construction industry itself and elsewhere. The so-called ‘social policy’ of the PN and the PL have neglected these families for years on end. From an economic point of view, these ghost town represent the lack of entrepreneurship of the citizens. It is yet again a failure of misguided economic and financial policies failing to positively appreciate high value added and sustainable enterprise. It is also a failure in environmental policies to protect our neighbourhoods as the unused buildings will become dilapidated. It is also a failure in the educational system which should churn out tertiary students with a positive entrepreneurial attitude rather than whose highest aim in life is a civil service job.